t*rexes and tiaras: Bargain Basement Dress.. 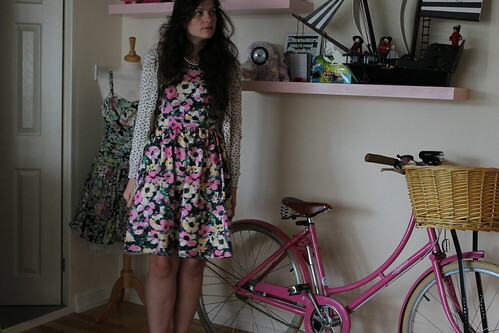 The dress: £5 from a recent trip to Primark. 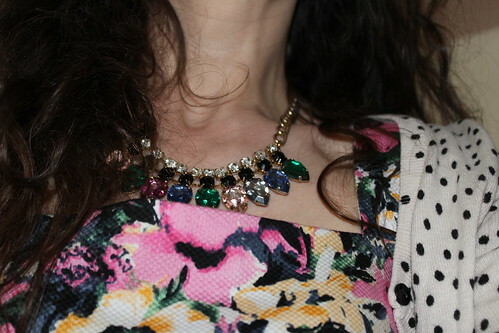 The necklace: £8 from Matalan last year. 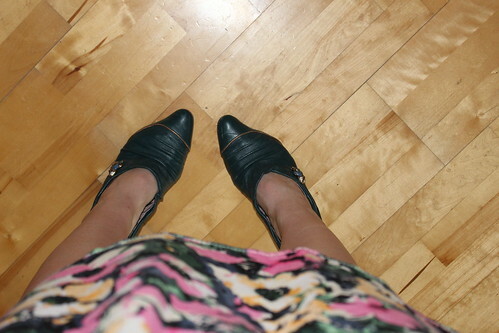 Shoes: £12 from eBay, apparently. Total cost: £28.99! Whoever said that fashion had to cost the Earth? What is your best bargain outfit? Do you ever consider how much your outfit costs? 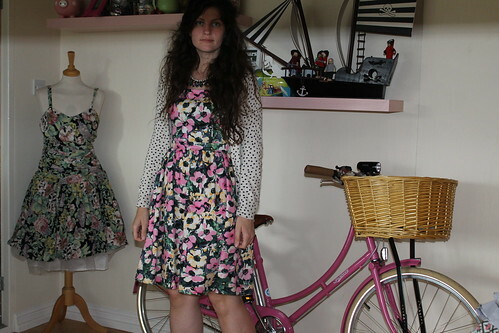 I very rarely do, but I'm still revelling in the bargain that was this dress. I'm very happy with it. Well it looks lovely on you! I have many bargain outfits! I was wearing one at camp the other day my jeans were charity-shopped for £3, the top was a cast off from my Canadian friend (free), the shoes (embarassingly) were croc-style shoes for £2 from Tescos (I wear these at camp!) and so my entire outfit cost a fiver!!! Wow, you definitely win with a £5 outfit! I definitely like a good bargain! It's lovely, all of it! I was really pleased with it. I've stopped bothering with the cheaper dresses from Primark. It might be bargain but it looks fabulous. It always amazes me how people feel they need to spend masses to look great. I have a few thrifted dresses that i wear to death.